It’s the most wonderful time of the year! Winter is approaching, which means holiday sing-alongs and hot chocolate, but the season also brings cold temperatures and often times, icy roads and traveling nightmares. It is imperative that everyone take precautions to stay safe over the holidays. Before the seasonal festivities begin, it is crucial to get your brakes checked. Traveling on icy roads requires reliable brakes, and if they are not up to par, you could be in deep trouble. It is also a good idea to drive at a slow speed and in a low gear when driving in winter weather. If your brakes happen to be having problems and you start to spin on a patch of ice, take your foot off of the gas and turn your wheel in the direction which your vehicle is spinning. Often, people unfortunately get stranded in their cars due to problems with their brakes. If this happens to you, there are some things you can do to remedy the situation. To stay warm, keep your engine on, turn the heat up, and have a warm blanket ready to wrap up in. Maintain your windshield wipers’ fluid so you can clear snow and frost from your windshield. In case you get hungry or thirsty, keep a few beverages and snacks that won’t go bad quickly in your car, such as water and granola bars or fruit snacks. 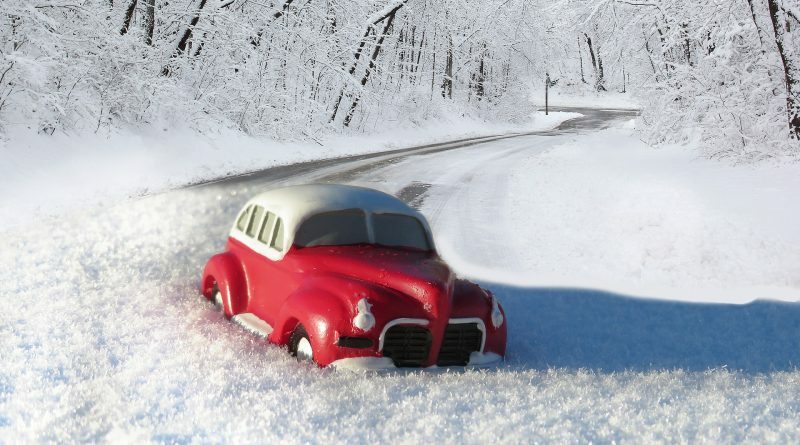 Winter is the most popular season to travel long distances to see family and friends for the holidays. Many people like to take air travel to get to their destination, but there are many issues that can arise with flying in winter weather, such as airplane incidents, which lead to flight cancellations, which often lead to getting stranded in the airport. To avoid this, plan on booking the earliest flight possible, no matter how much temptation to keep sleeping you may face. It is also smart to fly nonstop, because stopping for a connecting flight can increase your chances of getting stuck at the airport. Of course, checking the weather is a must for traveling any time, but especially during the holiday season. “Check the weather even if you’re traveling somewhere warm because the domino effect of flight cancellations in other parts of the country can affect your flight too”, said the website Travel Insurance Review. The holidays are filled with exciting festivities and events, but safety should always be the top priority. Stay safe with these tips and happy holidays!